So i had copied my windows 7 files from an installation disc to a flash disk which i had made bootable to format a mini laptop with no DVD drive, then by mistake broke the installation disc but still have the files in the flash disc, i want to burn them into another disk. Have tried burning them as data but wont work in some systems...so how can i get to create a bootable disc / disc iso image? Use the software Power Iso. It is not free. But the trial version is enough to accomplish your task. Install Poweriso. Plug in the usb. In the options, it has an option to create iso from USB. I have used it before. I didnt remember the exact menu and cant put screenshots now as i am in a linux machine now. You can also use imgburn which is maybe a little bit more straightforward than poweriso to work with. Be careful though not to install bloatware that comes with the installer. Not the answer you're looking for? 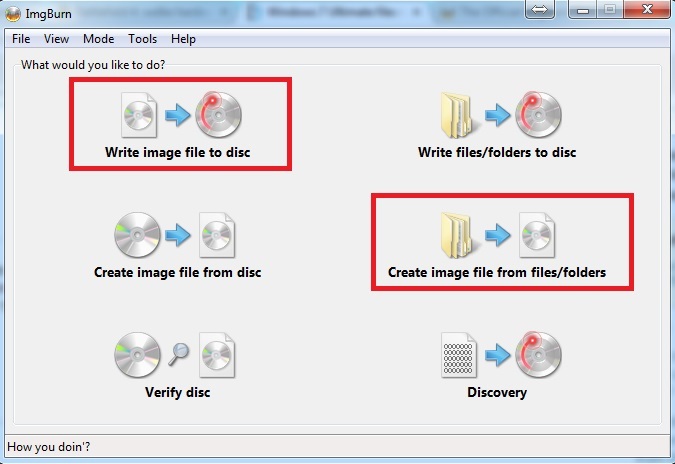 Browse other questions tagged windows-7 windows boot dvd iso-image or ask your own question. What's the difference between burning an ISO and copying a DVD's contents? Create a Windows 7 System Repair ISO? Image is too big for DVD, even though the image is small enough? Is there some universal way of booting up an ISO image without burning it to a DVD/CD?